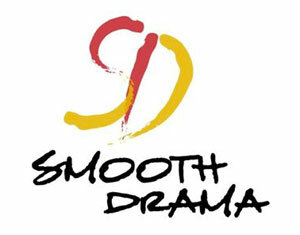 John Garrett interviewed by Smooth Drama Radio! I just wanted to make a quick post up about an interview I did recently for Smooth Drama radio about my comics. It was very cool to be asked so I wanted to share it with you guys. Above is the entire interview – I come in about 20 minutes in after the song, and I’m on for about 15 minutes or so. Fred from Smooth Drama contacted me from my Facebook page and asked if I’d like to be interviewed about my comics. My answer was of course, HELL YES! Normally I don’t get a lot of traffic to my comics or to my site in general (which is completely on me for not marketing myself), so that someone actually liked the comics enough to feature me on their show was a real compliment to me. I don’t know what kind of traffic they have or the size of their audience is but I really didn’t care. I had a blast talking to Fred and his co-host “Ms. 100%”. The site is off the Blog Talk Radio network. This is one of the things about the internet that I love so much. You don’t have to be bound by traditional media outlets or gain their “mark of approval” before you can be seen or heard by potentially millions of people. With internet radio, YouTube, Amazon and iBooks, various app stores for games and print on demand services like Cafepress, ImageKind, Zazzle, Spreadhsirt and RedBubble you don’t have to invest to much money to get your work out there to the people. Again, the omnipresent marketing problem remains to be dealt with, but that’s another rant for another day. Previous » APPLE TV vs. PS3 FACE-OFFNext » Jack Bauer vs Jason Bourne vs James Bond! Ha-ha)) What a funny voice that dj has)) Congratulations on that interview! Is it your first one? my conclusion is – I’m glad that you were on the radio but that dj is outrageous!! Hey Ted, thanks for listening! And speaking of funny voices, one of my blogging friends told me MY voice sounded funny – he said he didn’t think I sounded like that. Wow, congratulations! Don’t worry about the funny voice, almost every voice sounds different when recorded. Thanks man! Yeah it’s always strange to hear yourself, but I guess everyone has to deal with that. Thanks for commenting! Yeah Mitch they are a trip! I’ll tell you how bad I am at marketing…I forgot to actually send them a copy until AFTER the show! Aargh. Thanks for listening, I appreciate it!